Last Saturday 18 teams took part in the 10th Exhibition Golf Society Charity Day in aid of Macmillan Cancer Support. The event was held at Menzies Bar Hill Golf Course which was in excellent condition. Team winners with 91 points were “Andy Carroll is God!” lead by Steve Galbraith, with The Original Bandits led by EGS member Dave Squires finishing second 87 points. The individual trophy was a very close run thing with four players tying on 38 points. Runner-up again was Dave Squires and the winner was Rob Mariner from The Market Inn. The unlucky two to miss out on count-back were EGS stalwarts Ricky Bleasedale and John Botton. The Longest Drive on the 5th, sponsored by Ace Cabs, was Stuart “Humpty Dumpty” Wren with a monster drive measured by Andy “The Cat” McGarry at 338 yards! Longest drive on the 7th, sponsored by Gatehouse Estates, was former EGS Captain Steve Foster. Winner of the Longest Drive on the 14th, sponsored by Snows’ Business Forms, was EGS Ladies Captain Babs Willis. Longest Drive on the 18th ,sponsored by Volvo Construction, was another former EGS Captain, Nick Gabb. Nearest the pin on the 5th, also sponsored by Ace Cabs, was that man again Dave Squires. Nearest on the 8th, sponsored by Simmons plc, was current EGS Captain Pete “we’re averaging a can a hole” Goddard. Nearest the pin on the 1th, sponsored by the Scaife family, was won by Dave Swann of Snows. Unfortunately Dave was out of the room at the time so Mick Scaife made the presentation to Max Middleton’s partner, Chris. I believe she is still having treatment for post-traumatic stress disorder! Last nearest the pin on the 15th, sponsored by Derlin Construction went to Mick Grout. The Nearest the Pin in 2 on the 11th, sponsored by former EGS Captain Dave “The Legend” Jones, went to Tony Gentile with the last trophy, Nearest the Pin in 2, sponsored by Riello, was won by Neale Grout. A special mention to the Exhibition International All Stars led by Pete “I am NOT Scottish” Goddard. Ably assisted by his Aussie vice-captain, Stevo Wenta, they managed to consume a beer a hole which could explain why when they eventually got in the food had gone past its sell-by date! I feel a challenge from Ronnie and Zane Sheldrake could be on the cards for next year. If you want photographic evidence, next time you see Pete ask him to show you the picture of Stevo and his trolley on the 14th! 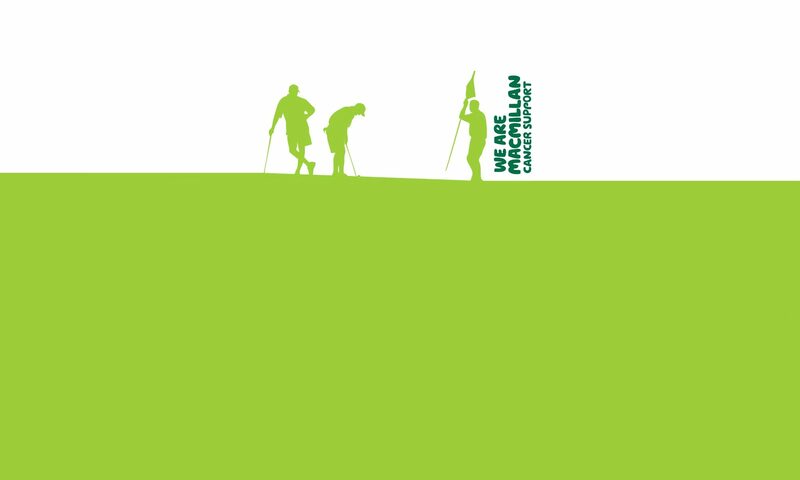 All in all a great day out with a massive £2,589.15 being raised for Macmillan so a big thank you to all who took part be it the players, people who helped out on the day, our sponsors and the staff at Menzies Bar Hill. We look forward to next year. Previous PostPrevious Youth triumphs at Ufford Park!